All the trekking described in these pages is just to give an idea of what we can see, of the degree of difficulty, of the days necessary, of other general news and information. For whoever is interested in getting more information about a trek, or has a particular need such has having more or fewer days available, or wishes to see other parts of Orissa, or prefers during the trekking to stay inside the park or in a tribal area, it is enough to write to my mail address and I shall answer in the shortest possible time. Beside the trekking area name are written the days necessary for that trek, but it does not include the traveling time to reach its starting point. For example, the trek in the Malkangiri area requires in addition to the 7 days of effective trekking, 1 day more to reach there and 1 day to go back, because from Puri the distance is around 750 km. and the roads in Orissa are not the best! This is trekking with a great ethnological interest, to see the many tribes (Gadabà, Dhurwa, Khond, Bonda, Koya, Paroja, Bhumia, etc.) that we shall meet in the villages, in the markets, and along the paths. It requires a minimum of training concerning the walking that on some days takes place on high hills, with remarkable variations in level to overcome; however, it is necessary to have good general physical fitness because for some days we shall be far from any roads, doctors, shops, etc. In this part of Orissa the risk of contracting malarial fever is very high, so anti malaria treatment is strongly advised, for this and for any other trekking programs! During the trek, we shall visit some out of the way villages, where tourism is non-existent; therefore, it will not be possible take photographs, unless we are in some precise place and always after seeking my advice. ► The price for this trek is 50 Euro a day per person. Warning: In the last years, there have been some problems with Naxalites, especially near the Andhra Pradesh border. 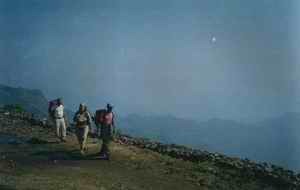 The Naxalites until now have never bothered any tourists, so for trekking there are no problems, however some areas during the trek will be avoided. 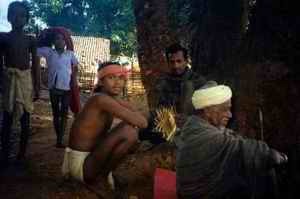 Exciting trekking with nights in the jungle and many encounters with the Khond tribals. Part of the itinerary is inside a park, with elephant, tiger, bear, etc. Of course, as in any other park, seeing these and other animals is not guaranteed, but still we cannot forget that we are in their territory. We shall sleep in tents or inside the tribal villages, reacting with nature and the locals and the risks will be slight. This is trekking for true nature lovers, with wonderful water falls, rivers to cross, hidden hills and valleys, fabulous and unknown places. ► The price for this trekking is 50 Euro a day per person. Trekking to see ancient painted rocks from prehistoric man, posted on high, hidden hills in deep jungle, inhabited by tribal people and where there are still leopards and bears. And than to visit old Hindu temples, in charming places far from the civilization. It is possible after the 4 days to follow the trekking "Kalahandi area n°.1". A short trek in part inside a park, in a forgotten area, rich with jungle, wonderful waterfalls, old Hindu temples and many tribal villages. This is a trekking with an easy slope to walk, an itinerary easy enough but rich in satisfaction thanks to the wonderful panorama. A very varied trek, without difficulties, where we shall visit some very famous Hindu temples near beautiful jungles and hills with references to the "Ramayana", and then we shall follow the Nawapara area trekking route. Nights in tent, lodge, private houses. A trekking-safari for those who want to see animals in their environment, exploring the jungle on foot, sleeping in some watchtowers situated near lakes where animals go to drink, and also going by boat on the river, with the sole and rare opportunity to observe and admire the gavial and the mugger (marsh crocodile). Especially during the dry season, from March to May-June, the probability of seeing elephants is very high, and also during the other months, a sighting is always possible. 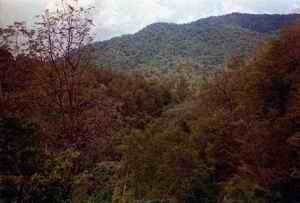 This is an easy trek, with only a few hours to walk daily and not many hills to climb. It is also possible to stop for some days in the most beautiful places and to explore the jungle without too much luggage, to enable us to experience the jungle in a deeper way. During this trek, we shall sleep in some Khond villages too. 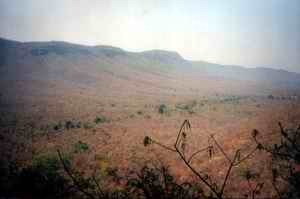 A long trek but without difficulties, for those who want to study many aspects of Orissa. We shall go through villages of the Orya and tribal people, using paths, sometimes tracks, sometimes in the rice fields, often in the jungle, sleeping sometimes in a tent, other times in houses from Orya friends or in tribal huts; for about half of the trek, with a little diverting it will also be possible to sleep in a lodge and eat in some restaurants in a quiet town, and after resting to walk again through tribal villages and out of the way valleys, stopping in the most interesting places. Easy trekking, but with great charm, thanks to the variety of the environment and to the meetings with Orissa's friendly people. A trek almost totally along a river; the first three days we shall be going down through an enchanting jungle dotted with small Khond villages, where the women still have tattoos on their faces. Then after a few days on the hills in a beautiful and intact forest, with a few sparse villages, we shall cross into a Natural Park (with elephants!) 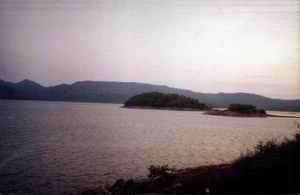 and at last, we shall reach the only Tibetan settlement in Orissa (monasteries and stupas!). This program can be shortened to only 4-5 days, if clients time is restricted, doing only the first part of the trek which explores the extreme variety of scenery and inhabitants and in itself is fantastic. We shall climb up to around 1200 meters and then for a few days we shall go down along a river; spectacular landscapes, waterfalls, mountains, jungles, grassy lowlands, and so many tribal people for the most part Khond. After the first week we can also continue the trek joining the preceding trekking (Zone of Phulbani - Gajapati, Saora tribe, elephants), or to go toward the district of Kalahandi, (tribe Dongria Khond, tigers, elephants), or still to venture toward the zone of western Phulbani, (tribe Kutia Khond, elephants). Warning: a part of the trekking is in a zone with strong presence of Naxaliti, and with a tribal populations still considered primitive, to whom is interested I will give further information. A short trek in order to see the gaur (Indian bison), perhaps the most imposing bovine in the world, nowadays very rare, but we shall succeed, sleeping in a very high watchtower, in an unforgettable place, with hills in the middle of the jungle. Much more, in the walk it will be very easy to see many species of deer, peacocks, tropical birds, and during the nights may be we shall be lucky enough to hear the tiger… We shall sleep in the tent, in a watchtower, and in a tribal village. Very easy trekking without particular difficulties but lots of excitement. A short trek with a few slightly demanding walks in the hills, where we shall visit some sadhu living in a holy hill, already mentioned in the Mahabharata, the great Indian epic poem, with mythological places where Arjuna (friend and devotee of Krishna) stayed. Then we shall visit some little settlements and villages of the Saora tribe, ancient villages clinging to the top of high hills, marvelous views towards far valleys, almost like in the Himalayas. And just to amplify this incredible spectacle, we shall finish the trekking in a village, the only one in Orissa that accommodates a fairly large community of Tibetan refugees who settled here after the Chinese invasion of Tibet. Very easy trekking on the plain, inside a Natural Park on the shore of a lake. Besides a chance to look at the elephants, we can enjoy the beauty of this charming lake with its little islands where it is possible to swim in the clear waters, to navigate with our dinghies, or simply to enjoy nature at its best. We will go down along a river, set in a gorge with tall rocky walls, with fascinatingly spectacular views, through the elephant inhabited jungle. It is also possible after 4 days to continue with the preceding program (Zone of Keonjhar). 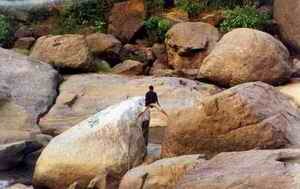 Trekking to discover the highest waterfall in Orissa, but going through a tribal area, with many villages and jungles on the way absolutely unknown to any other tourist; this is one of the less visited region in Orissa. Descent with rubber dinghy, on part of the Mahanodi River, stopping in a natural park to see the animals and in the more interesting villages, to walk inland for 1-2 days where the dinghy cannot go. It will be possible to fish, to swim and enjoy the river with all of its majestic power (the Mahanodi gorges are of an incredible beauty!). 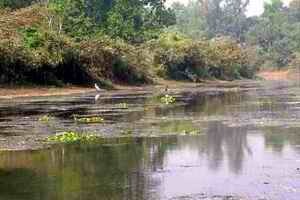 In some part of the river, we shall see river crocodiles (muggers) and gavials. Then again by foot we go to Konark after two comfortable days of walking, to visit the old temple, true architectural wonder of ancient India civilization. Again by walking along the coast, to an area where around January-March it is possible to see the Olive Ridley Pacific turtles, which come here every year to lay their eggs. Finally, we will reach a centre for the study and protection of the turtles managed by an old Canadian. 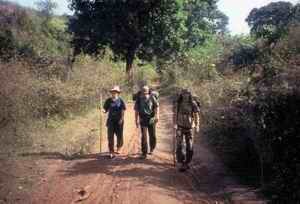 Very easy trekking, suitable for everyone, totally on the plain. Just a few km. from Puri, there is a different world to be discovered, with hospitable and kind people, still genuine and simple. 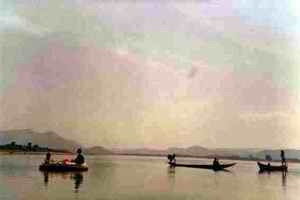 We will go down small rivers in our rubber dinghy, to reach the lake of Chilika. We will see many fishing villages, tribal and agricultural villages, enveloped by luxuriant nature, and with a very different rhythm of life from the frantic and noisy Puri. We shall roam slowly between areas of jungle and tiny villages, and during the night, we shall camp in the more exotic places. From the very start of the trek, we will see so many species of birds and monkeys that reside along the whole course of the river. It will be possible to fish, to swim peacefully in this river with an almost nonexistent current, and finally to appreciate the spirit of Orissa, with people never spoilt by exposure to tourism. ► The price for this trek is 30 Euro a day per person. due to the necessity of renting a special boat suitable for our requirements is not yet fixed. 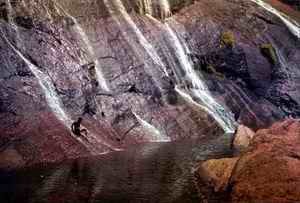 Descend with rubber dinghies on a little river crossing luxuriant jungles, tribal villages and unusual panoramas. 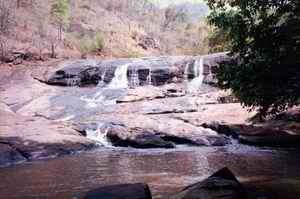 Then we will leave the dinghies and follow the same trek described in Keonjhar-Sundargarh areas to reach the highest waterfall in Orissa. Warning: As in all the trekking in the Malkangiri area, this region is frequented by Naxalites, and although travelers have never had any trouble from them, one must still consider this. If you are interested in this trek, please ask me for more up-to-date information. Exceptional program, for those who have more time to spare, and really want to know Orissa, the people of Orissa, a wide part of their territory, and to have a truly, incredible experience of India. Starting from Malkangiri, we will cross many districts (Koraput, Kalahandi, Phulbani, and Boudh, until we get to Angul). the tent or in houses as guest of the very friendly Orya people. 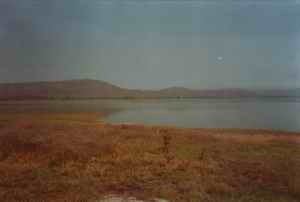 And then we shall cross through many natural parks, roads, rivers, paths, towns, temples, markets. In a word, we shall do a real journey, something that it will never be possible to forget! Warning: this trek must be booked with a large advance. Trekking with similar feature to the n.1, but after Kalahandi we shall direct ourselves towards Rayagada and Gajapati districts. This is not trekking, it is a different experience in some ways, because we shall stay in a tribal village and for a while, we will share their life. Therefore, it will be a chance to know better these wonderful and innocent people. We shall go together for hunting, fishing, or picking the fruit of the forest. We will participate in their feasts and every day will be as a return to our oldest roots. 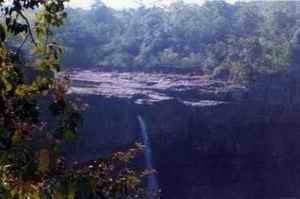 We shall be able to go on excursions in the surrounding jungle with really very qualified guides. After such an experience, we shall be different people. 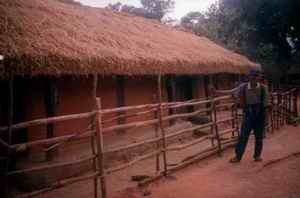 Warning: we shall go into very isolated and intact villages, so we need to follow a few rules. Write to me for more information. A part of the participation fee will be given to the village. We shall pass through many villages, we shall see the India that few people can still see; in a tract of the river, we shall be amongst the crocodiles (muggers and gavials) and we shall bring to an end this great journey with 2 days in the watchtowers looking for the animals of the jungle. It is not necessary to have previous boat experience, but only the desire for adventure! This is not rafting, nor is it a mad descent through a whirling river, but rather a quiet exploration of the river, its inhabitants, people and animals. 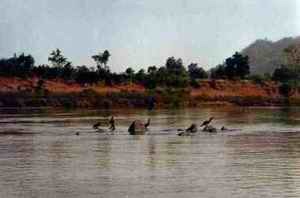 It will also be possible to fish and learn the technique from the many fishermen living along the river. Nights in tent and watchtower. This is a trek for the people who has a short time at disposal inside a little but very beautiful Natural Park a few hours from Puri, and with a very varied fauna that comprends also more then 60 elephants! 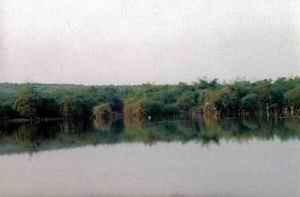 ), watchtowers, a good net of path in a very nice jungle. Ideal would be to stay at least a day and a night so that we could sleep in a watchtower, but as the park is so near to Puri, it is possible also to quickly cross the Park starting the early morning and coming back for the same evening. Warning: due to the many elephants in a small area, also so near a big city and so subject to a lot of interference by men, the elephants here are particularly aggressive. It is absolutely necessary to follow strictly our instructions.